+$Turn your dreams into reality with this career-launching course. +$What if you got paid to create your own video games? 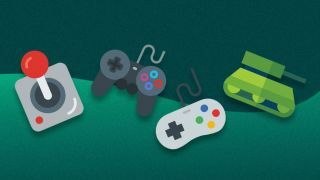 If you're an avid gamer, chances are this is your dream gig.+$The Unity Game Development Bundle+$will have you on your way to becoming an expert developer of both 2D and 3D games. Though these courses would typically run you $998.97, for a limited time the bundle is available for a pay what you want price. Just pay what you're willing – if it's less than the average price you'll still take something home, but if you beat the average price, you'll take home the entire bundle. +$The Unity Game Development Bundle includes five courses with over 37 hours of instruction. Even beginners can get involved thanks to the range of this dynamic bundle. If you're just starting out, begin with Master Unity Game Development: Ultimate Beginner's Bootcamp. It's the perfect introduction for game developing newbies. Learn C# and Unity while gaining the knowledge necessary to build a 3D multi-level platformer game. +$Once you've got Unity and C# under your belt, Learn Unity AI By Making A Tank Game will have you incorporating artificial intelligence into your games to help make more lifelike characters. Courses like The Complete HTML5 Mobile Game Development Course, Augmented Reality Game Development and Learn To Code By Building 6 Games In The Unreal Engine will amp up your game development abilities and school you in the latest futuristic technologies. +$These courses include such practical, employable skills that you could be on your way to a new career with this bundle. Just+$pay what you want for The Unity Game Development Bundle here+$and Start Building!